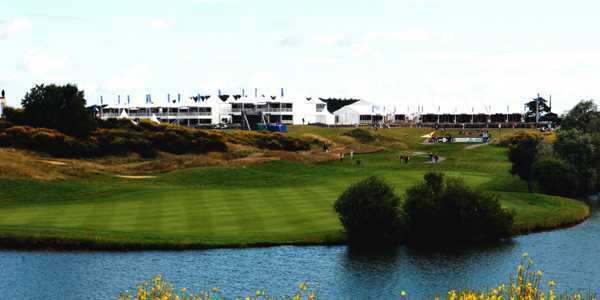 French Open at Le Golf National | Ryder Cup Rehearsals? 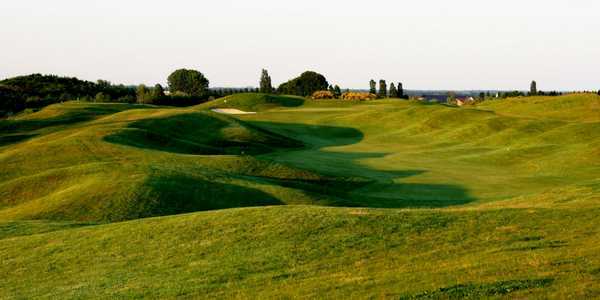 It has hosted the French open for 28 years but this year comes with added significance; just 3 months before the start of the Ryder Cup, many of the field will be playing Le Golf National with a September return in mind. The famed course will host both the HNA Open de France and the Ryder Cup with 90 days separating the two; there have been few, if any, occasions where players from Europe and America have had the chance to test themselves so close to the tournament, but are they all making the most of this rare opportunity? It’s safe to say that with the way American golfers are dominating the leaderboards, especially at the very top of major tournaments, that Jim Furyk has some job on his hand picking his chosen dozen. That said, out of all the candidates for Team USA, only one will be competing in the French Open this week; World Number One Justin Thomas. Thomas hasn’t played in a regular European Tour event since 2013 at the Alfred Dunhill Links when he turned pro but is the sole representative from Furyk’s likely team. Rickie Fowler and Vice Captain Tiger Woods will be playing in the Quicken Loans National on the PGA Tour but it seems the rest will be putting their feet up and missing out on the opportunity to test out the Ryder Cup venue. It’s also worth noting that Thomas has competed at The National for the past three years, so his intentions are clear for his attendance at Le Golf National this week. Whatever the reasoning, Team Europe needn’t worry as there will be a strong showing from many of the European golfers currently in the mix to make Thomas Bjorn’s team. Bjorn himself will be competing with our Chief Holiday Officer and one of the Dane’s Vice Captains, Lee Westwood – both sure to be familiarising themselves with the course and keeping an eye out for some star performers. One name that springs to mind is the defending champion at Le Golf National, Tommy Fleetwood, who narrowly missed out on his first major at the US Open a fortnight ago and is sure to impress again this week ahead of an exciting schedule leading up to The Open on the 19th July. Ross Fisher will be looking to close the gap on automatic qualification while Ian Poulter, a man famed for his incredible showings at the Ryder Cup, is hoping to continue his fine 2018 form to make Bjorn’s decision that much harder. Other European golfers who will be looking to be back in France in 90 days time are Spaniards Rafa Cabrera-Bello, Sergio Garcia and Jon Rahm as well as three young talents in Tyrell Hatton, Thomas Pieters and Alex Noren. The list doesn’t end there though as Francesco Molinari and Thorbjorn Olesen will also be in the mix having both won on the European Tour this season and currently hold a Ryder Cup spot. 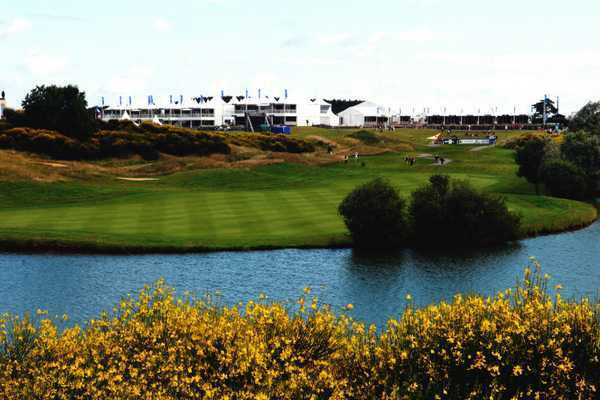 Le Golf National – Ryder Cup Rehearsal? 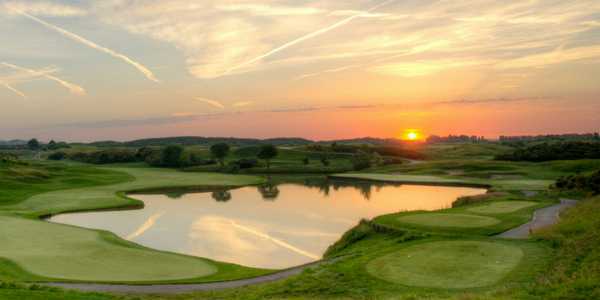 Since 1990 Le Golf National has consistently met the extremely high standards of hosting the French Open, proving its worth and thus putting itself in position to host The Ryder Cup. While the course, which features dramatic elevations and unique hazards at every turn, has the mass appeal of the golfing world ahead of September’s showdown, it’s the venue’s experience in hosting major tournaments which makes it perfect to host the 2018 Ryder Cup. The stadium course is littered with extraordinary vantage points and is only made better by the appearance of full grandstands; with a capacity of up to 80,000, you can already sense the electric atmosphere which will descend on the French course in three months time. Of course, all competitors in this week’s Open de France will be doing their best to add a Rolex Event title to their resume, but I can’t help but think this year it has the feeling of a dress rehearsal. 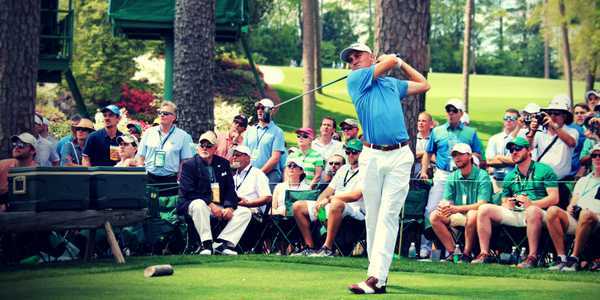 The unique schedule allow us to see how the Ryder Cup candidates will handle the course, especially some its tougher holes on the back nine where huge crowds can gather to watch some brilliant risk-reward golf. The 13th,15th,16th & 18th all feature water with the 14th and 17th acting as a reachable par 5 and long par 4; there is scope for so many scenarios to play out on this incredible stretch and is sure to create some iconic Ryder Cup moments, which is great news for us as fans. Lee Westwood branded Le Golf National as one of the best courses of the year and a great Ryder Cup venue while 2012 winning captain Jose Maria Olazabal and Graeme McDowell, who sunk the winning putt at Celtic Manor in 2010, have also sung the praises of the French track. The course record at L’Albatros was set by Eduardo Romero in 2005 when he shot a 10 under 62, but just four years earlier at the French Open, the tournament witnessed its lowest ever cut mark at level par. So, it’s safe to say that this week there will have to be some magnificent performances to target Romero’s 62 but also sloppy play could be severely punished; sounds like the perfect balance for a tournament golf course to me. With Augusta nigh on impossible to play for us regular folk and the US Open & USPGA host venues across the pond, The Open is the only opportunity to play a major championship venue. However, if you’re indifferent to links golf this might not be of interest, so the next best thing is a Ryder Cup venue. Every four years the tournament returns to Europe and this year is the first time its being hosted outside the UK & Ireland since Valderrama in 1997. Since then some of the best courses in England, Wales, Scotland & Ireland have featured on the world stage – all boasting successful tournaments.